I had my expectations cautiously lowered for this book because of some reviews I’ve seen, so I was pleasantly surprised by how much I enjoyed Red Queen. I love the setting, it combines my two weaknesses: superhero powers and colour coordination! In school, we learned about the world before ours, about the angels and gods that lived in the sky, ruling the earth with kind and loving hands. Some say those are just stories, but I don’t believe that. The gods rule us still. They have come down from the stars. And they are no longer kind. In this world, there’s a stark racial divide between Silvers: the ruling elite, and the Reds: common humans who serve them. Two things separate the them i) the colour of their blood and ii) the Silvers each have a special ability, whether it be element control, inhuman strength, mind reading or even immediate foresight. The lines between the two worlds begin to blur when a minority of the Reds starts rebelling against the oppressive rule of the Silver. This line is further broken by the emergence of our heroine, Mare Barrows, who bleeds crimson blood but has a special ability not even the Silvers possesses. As mentioned, my favourite part of this book by far is the setting. It combines familiar elements such as class divide, royalty, and superpowers in ways that I found very engaging. However, I felt particular parts were not fully fleshed out enough e.g. clearer rules to how abilities work (like Brandon Sanderson level detail, please, because I love reading about this stuff), if all Silver children inherited their father’s abilities: how are there so many different abilities still around? I also got major deja vu in the beginning due to the similarities to The Hunger Games (down to the mandatory public ‘entertainment’, male childhood friend & sweet little sister). I’m a Red girl in a sea of Silvers and I can’t afford to feel sorry for anyone, least of all the son of a snake. I also loved Mare, who never became lovesick though she was not immune to the charms of her princes. There was no eye-rolly moony-eyed moments. Instead, she had her priorities straight and for the most part acted logically. In cases where she trusted too quickly, she had to face the consequences. There was also a sense that you could not trust anyone throughout the whole novel, which I liked, as it helped me spotted the plot twist from way ahead 😉 I wish that the other characters, especially our villains, got more character development. Whatever, I’m gonna hold onto my head-canon that Evangeline is more than meets the eye! What’s more, we know for sure the main baddie of the next book will be plenty layered. “You want me to pin my entire operation, the entire revolution on some teenaged love story? I can’t believe this. In summary, I thought that this was a very fun read and I will certainly be picking up the next book. My primary reservation is that aside from Mare, the other characters are a bit flat. While there’s a lot of breakdown of tropes, there’s also a whole heap of familiar plot lines in Red Queen. You’re right, I think people are too harsh on the book. The bad rep steered me away from it at first, but I’m glad all the pretty tumblr graphics pulled me back 😀 I personally loved it despite the similarities I saw to Hunger Games. Thank you so much for commenting. 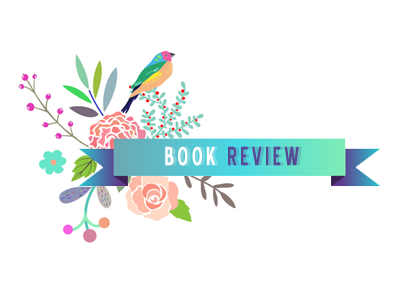 Your book blog design is pretty much my fave of all the ones I’ve seen, so it makes me so happy to hear you like mine :D! Thank you so much for the follow, Alyssa! I’m going to start of this comment awkwardly by saying I actually had issues with Mare haha. She annoyed me so much through the middle of the book for various reasons. I almost stopped reading. Thank goodness I didn’t though because it really picked up at the end. More villain character development definitely would have been a good thing! The ending of the book really did save it eh, I hope that the plot & character development is better in the sequel.